IBM Decision Optimization represents a family of optimization software that delivers prescriptive analytics capabilities to enable organizations to make better decisions and achieve business goals. The Decision Optimization product family includes offerings like IBM ILOG CPLEX Optimization Studio that provide powerful modeling tools to build optimization models, either using general programming language APIs or Optimization Programming Language (OPL). Solve the breadth of optimization models using optimization solvers. IBM Decision Optimization is an integral part of IBM Watson® Studio, so users can benefit from all data-science features of Watson Studio like access to machine-learning models, the ability to pass output from predictive analytics to the IBM Decision Optimization engine, access to open notebook features, visualization features and data connectivity options from Watson Studio. IBM Decision Optimization for Watson Studio helps data science teams capitalize on the power of prescriptive analytics within IBM Data Science Experience. The solution lets teams combine optimization and machine-learning techniques with model management, deployment and other data science capabilities to develop optimal solutions that improve operational efficiency. 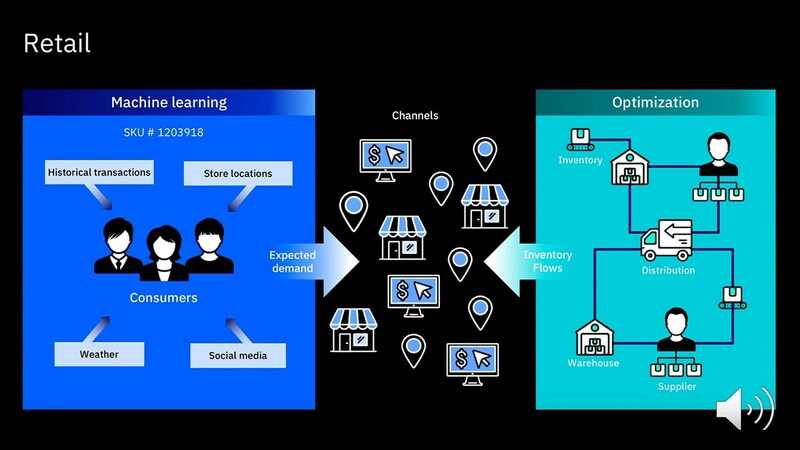 Watch this webinar to learn how Decision Optimization complements Machine Learning techniques, evaluating millions of possibilities to find the best solution. Industry-leading CPLEX® Optimizer engine and CP Optimizer engine can solve the breadth of optimization problems and can deliver results quickly. Better utilize: capital, personnel, equipment, vehicles, facilities, capital, personnel, equipment, vehicles and facilities. Build models for scheduling use cases using innovative features, like natural language processing. Create optimization models either using general programming language APIs, like Python, Java or the optimization-specific Optimization Programming Language (OPL). Decision Optimization is an integral part of IBM Watson Studio, providing access to a broad set of data science features, including machine learning and predictive models. 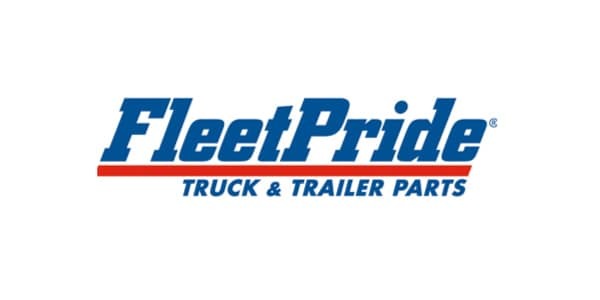 FleetPride achieves supply chain efficiencies by giving supply chain managers game-changing insights into operational data delivered using IBM CPLEX Optimization Studio. Provides a model development toolkit for rapid development of decision optimization models using mathematical and constraint programming. Deliver business results by combining optimization with other data science capabilities on IBM Watson Studio. Build, deploy and use optimization-based decision-making applications for the enterprise. Includes data analysis and visualization, scenario management, collaborative planning and what-if analysis. Leverage advanced analytics and decision-making optimization software on cloud to solve your most difficult planning and scheduling challenges. CPLEX Optimizer is available on z/OS with C and C++ API for modeling. Leverage CPLEX engine on z/OS to solve mathematical programming models, like MIP/ MIQCP. Still taking a manual, trial-and-error approach to planning? Accelerate planning cycles and improve plan quality with Decision Optimization. You've predicted what is likely to happen, what's next? Decision Optimization can help you decide what action to take. Leverage IBM's world-leading solution engines for mathematical programming and constraint programming, where you solve your toughest data challenges. Utilize the power of decision optimization on IBM Watson Studio. Key IBM ILOG CPLEX Optimization Studio features and capabilities. Why IBM ILOG CPLEX Optimization Studio is the best choice for making decisions. Deliver optimal business decisions with machine learning and decision optimization. Optimization software from IBM is helping the company find efficient transportation routes in near real-time, enabling huge cost savings and supporting growth. Real-time optimization software helps distribute bicycles efficiently across one of the world’s largest cities. Red Eléctrica de España leverages optimization software to ensure reliable electricity supply for the Canary Islands. West Point cadets use IBM optimization software to model and solve highly complex problems, such as how best to secure the academy’s food supplies and reduce its energy consumption.